Kerala Beef fry cooked in Nadan style is a unique delicious signature dish of the Christian community in general. You can usually spot the dish during festive gatherings and occasions. Street vendors sell Parotta with Beef Fry which is a hot Thattukada dish both among young as well as old alike. 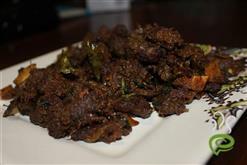 Beef Fry can be served with both dosa and appams too. 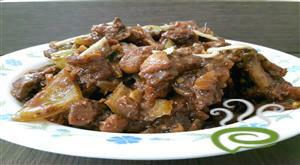 We have included a spicy Beef Fry dish for quick reference. Beef pieces are pressure cooked in a spicy masala and later fried or roasted with onion pieces and curry leaves. 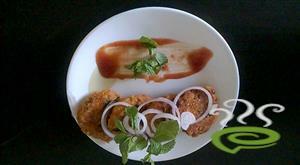 Our Kerala Beef recipe is well detailed in short simple sentences keeping new comers in mind. Enjoy our Beef Fry cooked in Kerala style. hese shrimp cakes celebrate the wonderfulness of the baby shrimp so prevalent in Guyana, which we simply call, white belly shrimp. These shrimp cakes, however, can be made with any variety of small shrimp.The mixture for these cakes is versatile and it can be made into patties and fried as is shown here, rolled into small balls for appetizers or a little larger to be steamed and added to soups. Indian style Ginger Chicken is an easy to make sizzling spicy chicken recipe. This is a very famous chicken preparation. Ginger not only adds a wonderful taste to this dish but also makes the dish more digestible. To improve the nutritional profile of pizza, include whole-wheat flour in the crust. 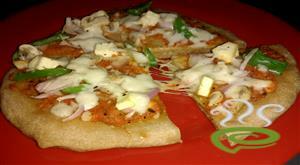 Whole Wheat Pizza Base is a healthy alternate to the basic white pizza. Bake up pies that rival your local pizzeria's when you keep this easily made dough on hand. Baumkuchen is a German variety of spit cake. 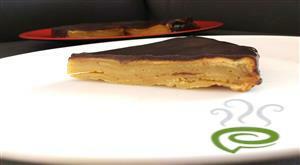 It is a traditional pastry of many European countries throughout, and also a popular snack and dessert in Japan. This look like tree ring so we call it us tree cake. This very tasty and good in texture too. This very first try for me. This is good in party time. This cake is done by brown butter which we call ghee. This is few easy steps to do Baumkuchen. 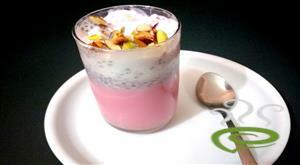 Falooda is a dessert, if you look at it technically, but practically it is an any-time snack! This exciting combination of sweetened rose-flavoured milk with falooda sev, subza seeds, vanilla ice-cream and all the works is a delicacy that appeals to all. It is quite sumptuous and satiating, and you will often find people stopping by at a roadside vendor to have a glassful of Falooda to keep them comfortably going till the next meal. 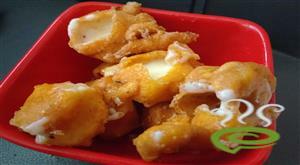 Cheese Bajji is kids special and they would love to have more and more. This cheesy bajji is prepared with cottge cheese inside and fried with bajji batter which is home made. This is the best evening time snack for kids. Evening snacks especially during winter with a hot Stuffed Bread deep fry is one of the best things EVER. this is delicious in taste. we can have this recipe particularly in winter. pineapple coconut kheer is a fruity twist to the favourite indian dessert rice kheer. 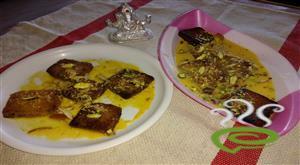 pineapple adds a very pleasing and tempting flavour to the kheer. pineapple coconut kheer is a made by preparing in two stages first the creamy milk is prepared and to it the sweet fruit is mixed to bring the tasty kheer. strawberry panna cotta is famous Italian dessert .panna cotta literally means cooked cream . strawberry panacotta is an execellent and elegant dessert perfect for summer days. The sweet cream is thicken with gelatin and taken up with sweet and sour strawberry sauce. This is a simple dessert to host a treat. 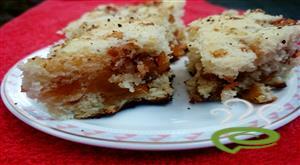 The Hyderabadi Double Ka Meetha is a traditional Hyderabadi dessert prepared with bread, which derives its name from ‘Double Roti’, a term used for bread during the British era. 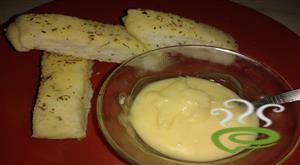 It is very easy to prepare with simple ingredients like bread, milk, cream and sugar.